Mme Isenor and Mrs. Armstrong's grade 6 class spent the day learning and celebrating Mi'kmaq culture. 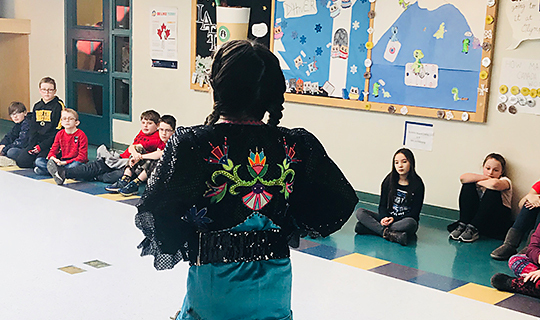 They learned about history, culture, traditions, food, song and dance of the Mi'kmaq. This was their fourth cultural day. Previous days focused on The Gaels, The Acadians and African Nova Scotians.